Phillips sells a stainless steel Patek Philippe 1518 at its Geneva auction for an all-time record price. 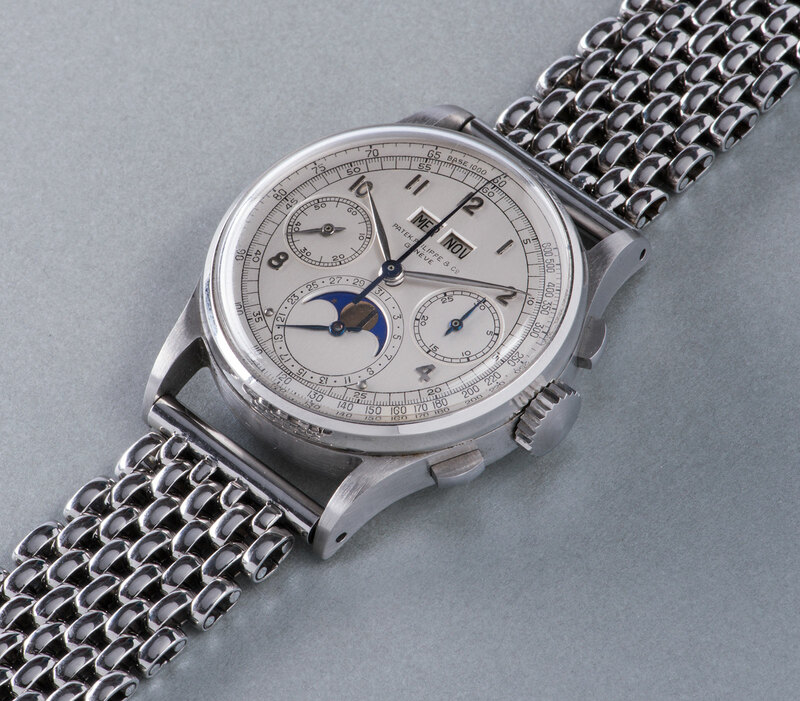 Already expected to smash records when its sale was first announced in July, the Patek Philippe ref. 1518 in stainless steel – reputedly one of just four made – hammered for SFr9.6m at Phillips’ The Geneva Watch Auction: Four. With fees, the sale price was SFr11m, making it the most expensive wristwatch ever sold at auction, comfortably surpassing the SFr7.3m made by the Patek Philippe ref. 5016A “Only Watch” last year. The record sum – equivalent to US$10.7m – was reached after several minutes of tense bidding amongst several parties, including well known collectors and dealers in the room. But at the end, it was down to just two phone bidders, each represented by Sam Hines and Paul Maudsley respectively, with Maudsley’s client triumphing in the end. This clip captures the moment Phillips’ Aurel Bacs brought the hammer down. While the bidder’s identity is unknown, Maudsley, who is head of Phillips’ watch department in London, also represented the winning bidder for the ref. 5016A “Only Watch” last year.